Mandela MarketPlace receives $422,500 USDA grant to improve healthy eating for SNAP recipients, using apps and services by Credibles. - Credibles: crowdfunding and gift cards for local food businesses. Enjoy a prepaid Credibles tab. April 30, 2015 by judyschlussel. A fresh food breeze for healthier food stamps. 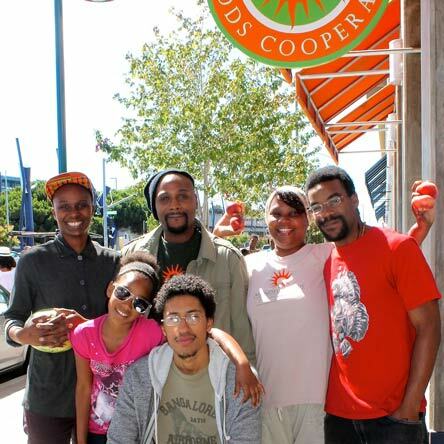 SAN FRANCISCO, CA, April 30, 2015 – Secretary of Agriculture Tom Vilsack, announced earlier this month a $422,500 USDA grant for Oakland’s Mandela MarketPlace, to support their healthy fresh food initiative in West Oakland, supported by Credibles’ apps and service for “edible credits”. USDA’s Food Insecurity Nutrition Incentive (FINI) program awarded the grant for residents enrolled in the Supplemental Nutrition Assistance Program (SNAP) and living in low food-access neighborhoods to participate in a healthy food incentive program. With extra credits, the participants are rewarded for getting more fresh fruits and vegetables in their grocery baskets at local community markets and corner stores. Oakland’s Highland Hospital partners in the project by identifying patients whose health condition would be significantly improved by healthy fresh food. Aligned with their mission of supporting of local businesses and creating a stronger relationship between the business and customers, Credibles will supply participants with a SNAP-match credit account used when purchasing healthy foods at selected local markets. Using the Credibles App, retailers can easily process transactions and encourage participants. Mandela MarketPlace will begin the program in September 2015. $422,500 | Increase the purchase of locally-sourced fruits and vegetables by SNAP consumers through provision of Credibles, a technologically-elegant, online direct-to consumer incentive system for use at a network of SNAP authorized retailers, including healthy retail corner store conversions and market booths operating as part of Mandela Health and Wealth Network locally-owned food system. The match is 35 cents on the dollar.